PVC foam is perhaps the most widely used and traditional type of draught excluder. 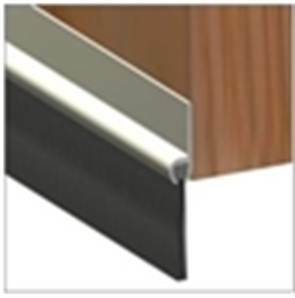 This self-adhesive strip when placed on the frame forms an ideal seal for the door or window to close against. Vinyl Standard PVC Foam in larger 12mm x 7.5mm size, that will close gaps of 3mm to 7mm. 26mm polypropylene brush in PVC plastic carrier.